Two stunning acres, 1,000 feet above the sea. Panoramic views of Santorini’s iconic villages, its dazzling sunsets, its legendary caldera. And the most precious gift of all: complete privacy. 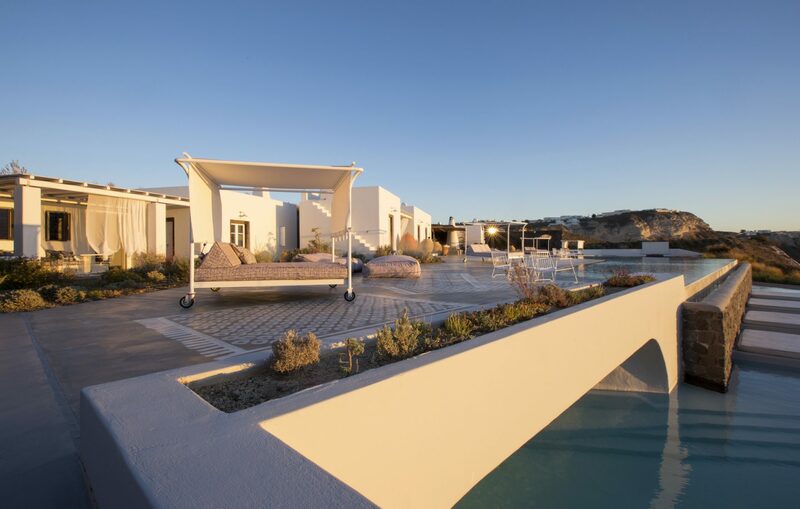 EROSANTORINI occupies a coveted perch on the edge of the caldera in the Messaria area, just 2 kilometers south of Santorini’s bustling capital, Fira, and 14 km from the idyllic seaside village of Oia. 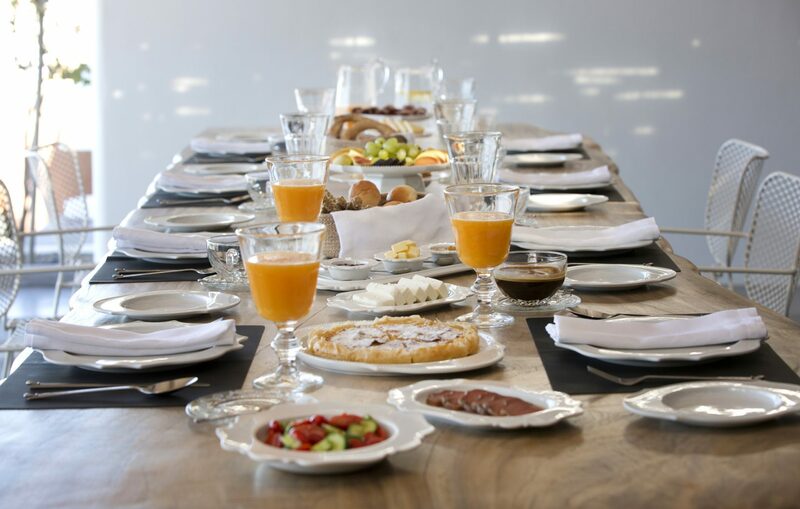 It is easily reached from Santorini’s port (8 km) and airport, just 5 km away. Beauty, charm, mystery, romance—any traveler privileged enough to alight on Santorini for even a day will use these words to describe it. A word they are less likely to use is privacy. Because this bewitching island, beloved for centuries by travelers the world over, has had little of this precious commodity to offer its most discerning visitors. 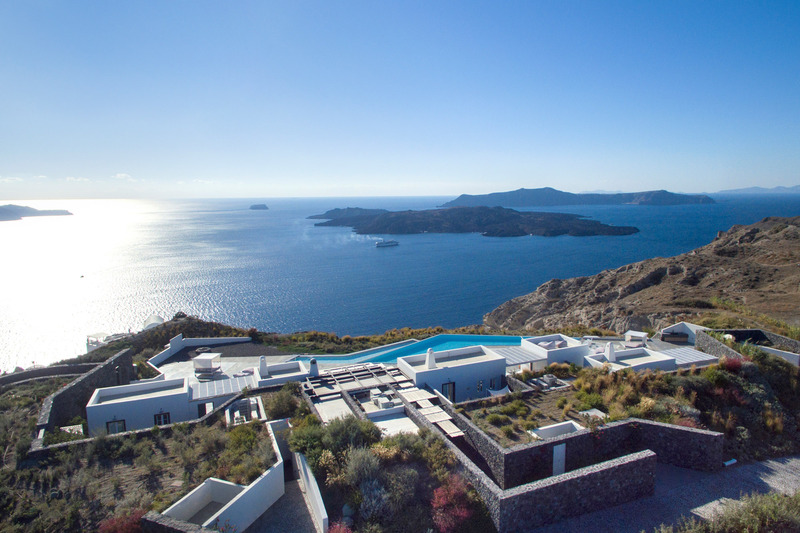 EROSANTORINI is Santorini’s first truly private, exclusive-use Estate, with a secluded cliffside location and spacious grounds unrivaled by any other property. 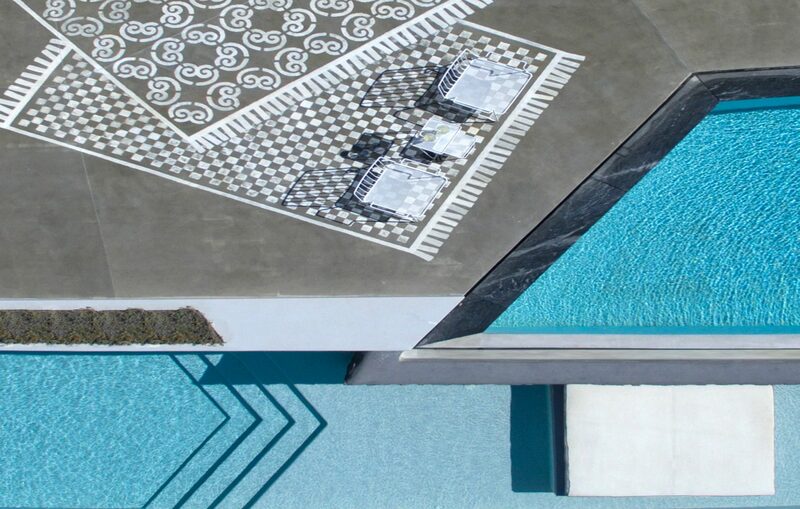 Here, for the fortunate few, resides the ultimate treasure: a blissful haven tucked high and away from the bustling crowds, with glorious views and easy access to all of the activity and vibrant life for which this jewel of the Aegean is justly famed. In this picture-perfect setting, nature plays the starring role, and impeccable design provides an elegant cameo. 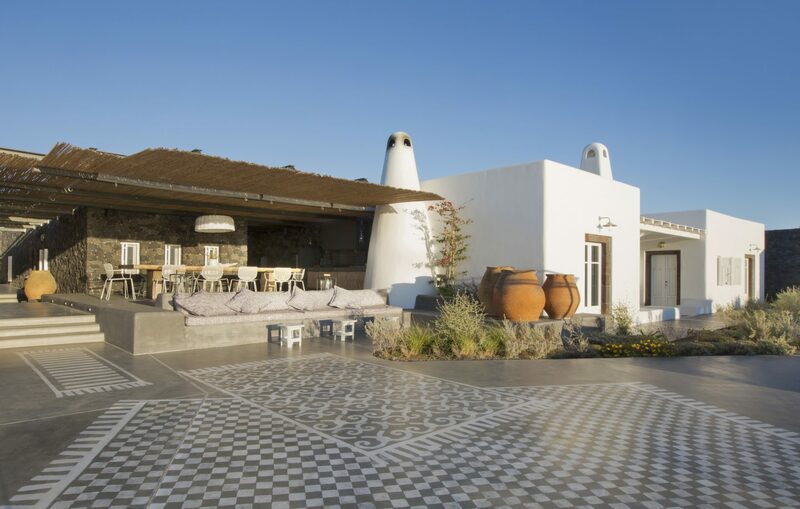 EROSANTORINI is the epitome of contemporary Mediterranean sophistication,conceived and designed by Athens-based x2 Architecture and decorated by acclaimed Italian designer Paola Navone. The graceful cubist-inspired buildings and outdoor living spaces are laid out on three levels, gradually unveiling the staggering panorama and framing it with serene, harmonious lines. 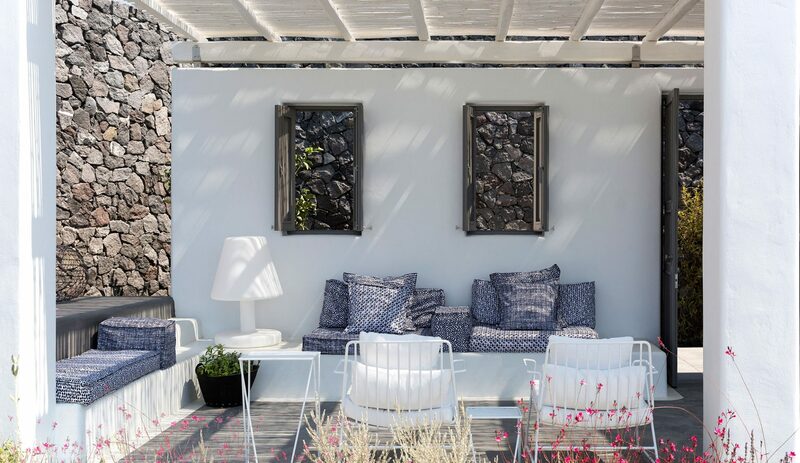 Paola Navone, recognized worldwide for brilliantly melding a modern design aesthetic with local materials and traditional handicrafts, has brought her prodigious gifts to EROSANTORINI, creating quintessentially Greek interiors and open-air “salons” that exude an effortless barefoot chic.